Open water swimming debuted at the 2011 Special Olympics World Summer Games in Athens, Greece as a demonstration sport. 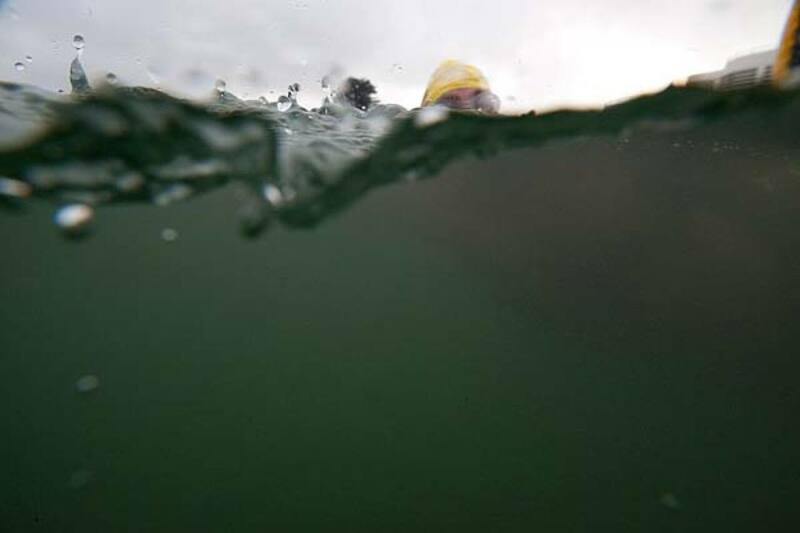 Open water swimming involves swimming in rivers, lakes, seas or the ocean, where deep water, lack of lane markings, waves, currents, wind and other natural elements test the swimmer. An exhausted David Egan splashed through the shallows at the finish of the first leg, accompanied by pacer and coach Vanessa Waigand. 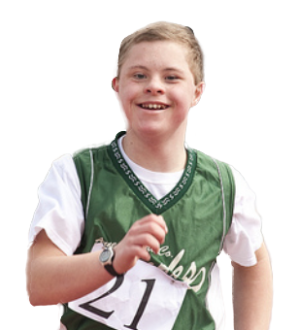 It was an exemplary Special Olympics moment, an athlete trying something new and finding the strength within to succeed. 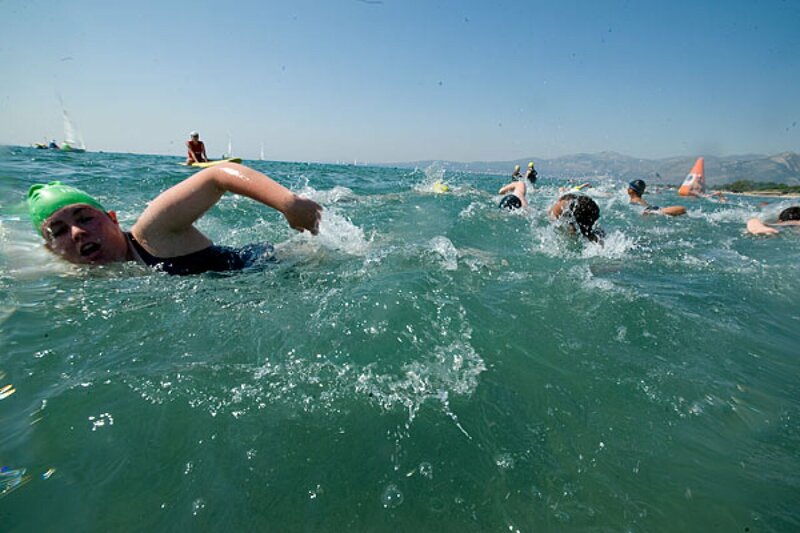 The exhausting 1.5 kilometer course at the Bay of Marathon left the swimmers exhausted as they dashed from the water onto the beach where they finished. Andrey Smilley of Cayman Islands won for the men and Cornelie Jane of South Africa won for the women. 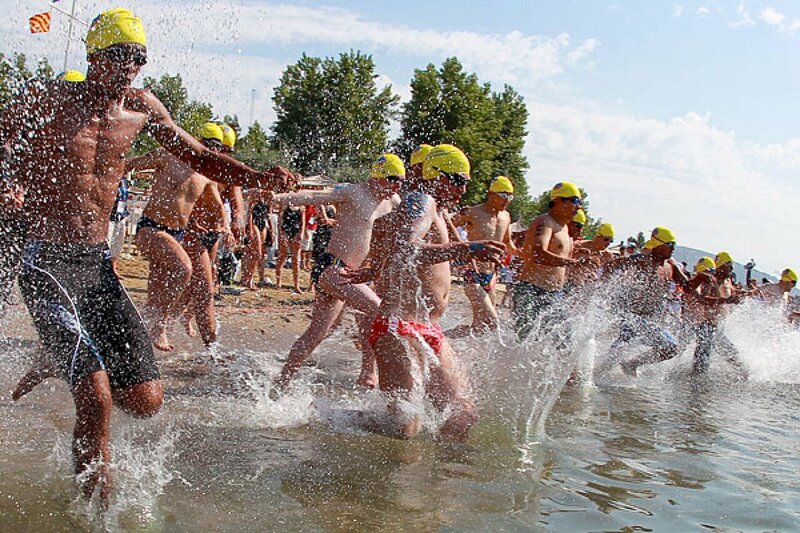 Open water swimming had its Special Olympics debut in July 2011 during the Special Olympics World Summer Games in Greece. 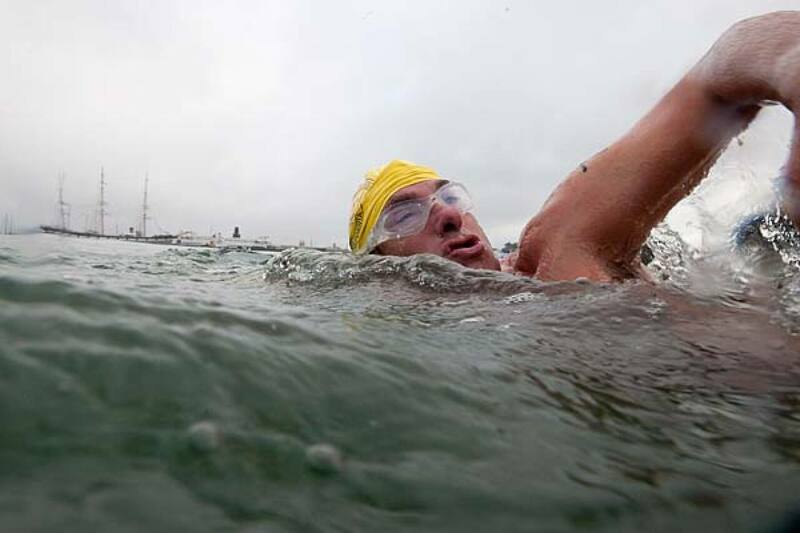 After a practice swim the day before, 35 athletes dashed into the sea to start. Sam Silver, who calls himself "The Ice Man" because of his love of cold water, trains in a sheltered inlet in San Francisco Bay. He was one of the athletes that competed in Open Water Swimming at the 2011 World Summer Games in Athens, Greece. Steven Munatones, a world expert in open water swimming, reminded the Special Olympics athletes of some of the details of race protocol during the practice day event. Munatones is the Special Olympics technical delegate for open water swimming. The practice course was marked with orange buoys, and the swimmers had to work on turns, sighting techniques and find a way to be comfortable and safe swimming with almost three dozen others in the water at the same time. 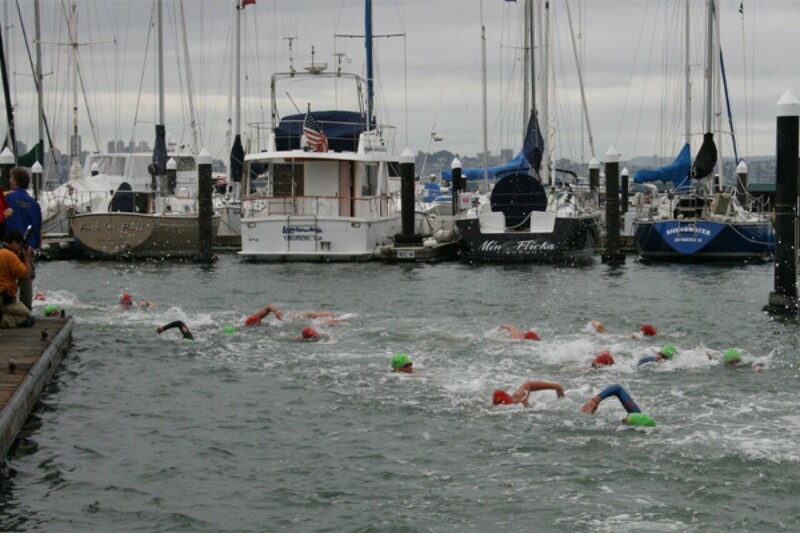 Special Olympics athletes competed alongside elite and Olympics swimmers in the RCP Tiburon Mile Open Water Swim in Northern California. Special Olympics athletes Ancil Greene and Kester Edwards get ready to jump into the chilly waters of the San Francisco Bay for the RCP Tiburon Mile Open Water Swim. 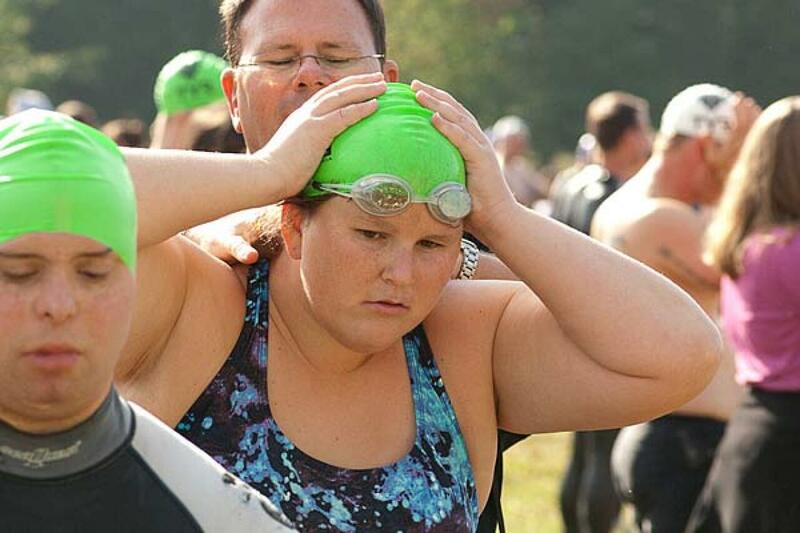 Special Olympics swimmer Jenny Mitchell puts her cap on before heading out into the waters of Lake Anna. 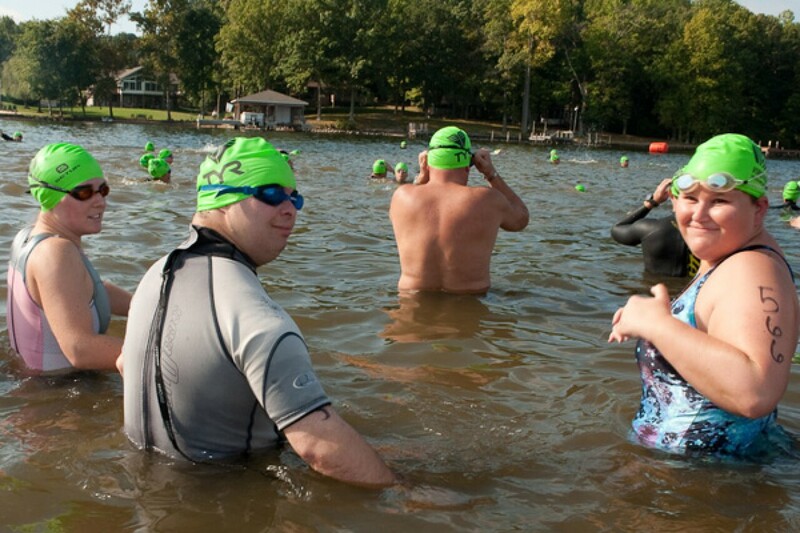 Jenny completed the 1500-meter swimming leg for her team during the Giant Acorn Triathlon. Special Olympics Virginia swimmers David Egan and Jenny Mitchell pose for one final picture before heading out into the waters of Lake Anna for a 1500-meter open water swim.